First and foremost, let’s address that no two ceremonies are alike: like the couple getting married, there’s a personal touch in every aspect of it, and this is what makes weddings so unique from each other. While most Southern wedding ceremonies follow the religious customs of a couple, there may be the instances where you may want a non-denominational officiate or a close friend to preside, or you may opt for a simpler ceremony. With that in mind, what all does a ceremony need? What can you do to make it fit you as a couple? And what parts are even necessary for it to be considered legal? The general order of a ceremony goes something like this: Processional, Opening Remarks, Addressing the Couple, Exchanging Vows, Exchanging Rings, Marriage Pronouncement, The Kiss, Closing Remarks, and finally the Recessional. It sounds like a lot, but once it’s all said and done, most ceremonies take 20-30 minutes. This may change depending on religious preferences (for example, a traditional Catholic ceremony includes the celebration of Eucharist and several readings, or a Vietnamese wedding generally will consist of a Tea Ceremony earlier in the day), but the essential formulation outlined above tends to work out best to start from. The processional is the few minutes it takes for everyone to come into the ceremony, whether it’s a church, hall, or outdoor space. Generally done to music, the Processional can vary as to the order of persons entering. With my clients, we tend to start off with the grandparents being escorted in, then mother and father of the groom, groomsmen, groom, officiate, mother of the bride and her usher, bridesmaids, and finally the bride and her father. However, you can shake things up a bit by having bridesmaids and groomsmen walk with each other up, or walking with both of your parents. Many ceremonies start off with “Dearly beloved…”, “Friends and family, we’re gathered here…”, usually followed by “Who gives this bride”. The level of formality can vary depending on the overall style of the wedding, as well as the presentation/exchange of the bride, and can be moved or adjusted to fit the needs and wants of the couple. Traditionally, the parents of the bride giving the bride away was done in the age of dowries and bride gifts, essentially paying the groom and his family to have the bride as his wife. This tradition has evolved to a newer and more touching meaning, now done is respect to welcoming the groom into the bride’s family, and giving a nod to the new family being formed through this ceremony. After the opening line, the officiate will take a minute to two to acknowledge the family and friends gathered before and as to why, give a little background on marriage and its importance, and throw in how the bride and groom are ready for this next chapter with a summary of the trials of their relationship so far that has prepared them for those that they’ll face in marriage. The perfect Segway from the “story” portion of the ceremony, this part of the ceremony is specifically for the bride and groom. The officiate takes time to make sure that the brevity of marriage and this commitment is not lost upon them, and fills them in specifically on what marriage entails. Between the Opening Remarks and Addressing however, Addressing should be more thoughtful and cater to the couple and the foundation in which they want their marriage built on. This is a great part in which to include a reading or two – a couple of my favorites are Union by Robert Fulghum, and To Love is Not to Possess by James Kavanaugh. Both of these readings speak of the foundation of marriage and what it means to be making this commitment to each other, and while a little bit more formal and lengthy, they’re perfectly appropriate for the occasion. The most important part of any ceremony is by far exchanging vows. It’s at this time that you make promises to each other, whether you go the traditional route of repeating words from your officiate or reciting your personal vows to each other. If you opt for writing your vows individually, ask your officiate to review them to ensure that they match the level of formality and length. Conversely, if you decide to repeat your vows and both have the same, I love this article from The Knot that has a variety of scripts and options that are more than just “Do you, X, take Y to be your husband/wife…”. Traditionally, the ring bearer presents the rings to the bride and groom, but there can be the instance in which an overly excited or shy child can no longer participate and do their full role. It will always be to my recommendation to make sure the Best Man has charge of both of the wedding rings, and should they be dropped, he be responsible for picking them up (this also assists in avoiding an awkward shuffle between folks all going in on retrieving them). Most often, rings are blessed as they are exchanged, and if you’re wanting to do a hybrid version of reciting your own vows and having your officiate prompt you, this is a great time to integrate it. The Spuce has a great database of different wording and lagniappe you can do to make exchanging rings more meaningful and to fit the level of formality of your ceremony. Possibly the (second) shortest part of your ceremony, pronouncing you as officially married often prompts The Kiss. Pro tip: hold it for 7 seconds so you get excellent photos and video! Starting from the bride and groom walked back down the aisle, and followed by bridesmaids and groomsmen (whether walking together or individually, in which case, bridesmaids will go before groomsmen), with the bride’s parents and groom’s parents taking up the rear. The officiate is generally the absolute person last down the aisle, in case of final announcements (such as reception location, moving chairs, where refreshments are, etc). Music for the recessional can be lighthearted and fun (my personal favorite is Hooked on a Feeling by Blue Swede) or more traditional. It is also a good idea that if you are formally exiting the ceremony site (such as a church), to linger in front of the doors or space and share another 7 Second Kiss, if for nothing else than to celebrate being married to your soul mate. Your ceremony is the main piece of your entire wedding; without it, there would be no marriage to be celebrating! Taking the time to make sure that it reflects you and your spouse, that you make it sincere and heartfelt, will set the foundation in which your marriage will be built upon. You’ll always remember those moments that seemed where time stood still, just for that second. 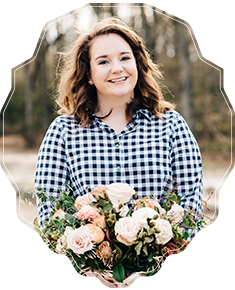 With this guide, I hope I made the process of planning and formatting your ceremony a little less stressful, and a lot more fun!